The technicians at the Bella Concert Hall are ‘geeking out’. Al Williams and Owen Day are the audio and lighting gurus preparing for the advent of a new sound in the concert hall. “For the first time in the Bella, we’ll be bringing in a bunch of sub-woofers,” Williams says, practically rubbing his hands with glee. 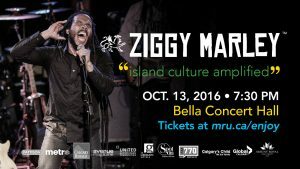 The reason is the upcoming appearance of reggae legend Ziggy Marley and his band on October 13, 2016. Marley and crew will kick off the inaugural concert season at MRU Conservatory called Music to Your Ears 2016-17. From an auditory perspective, there’s certainly a lot of diversity in the season, which features such varied guests as Wu Man (Chinese pippa player), the Pedrito Martinez Group (Afro-cuban drummers) and Chantal Kreviazuk (Canadian pop singer/songwriter). This will mark the first occasion that reggae music will resonate in this concert hall. What’s expected in an event like Marley’s is a rock concert event, which is a far cry from the technical demands of a solo violinist in recital or a keynote speaker. To illuminate Marley’s stage, Day says, “We’re adding more lights featuring lots of colour in the LED world.” LED meaning ‘light-emitting diode’, a technology that is making stage lights, as well as indoor Christmas lights, more energy efficient, easier to manipulate and brighter. 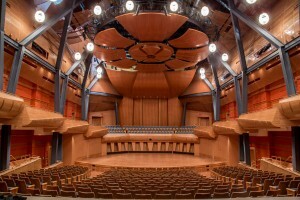 Brighter and louder will describe the Bella Concert Hall’s contributions to the Calgary music scene. 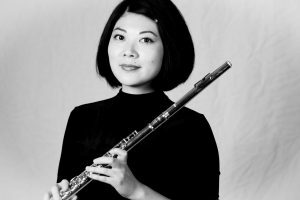 Like many on staff at MRU Conservatory, Jaijai Li is both a gifted teacher as well as an accomplished performer. In addition to the Dizi, students of Chinese Classical music can study the Erhu, Guzheng and voice. Jaijai grew up studying with dizi masters Dai Ya and Hou Chang-qing, but “Nowadays,” she notes, “besides classical music, I play lots of contemporary and experimental music which requires exploring new ways and techniques to play the flute.” Some of that innovation takes place with her colleagues in the Timepoint Ensemble, who are appearing at the TransAlta Pavilion in the Taylor Centre for the Performing Arts on Saturday, September 24th. The show is called, Bridging Divides: Cascades, Layers, and Nightmares. Their program is as eclectic as their line-up featuring contemporary works by Marcus Fjellstrom, Ted Hearne, Bethany Younge and Terry Riley. These are not household names by any stretch, but Li and her Timepoint counterparts are here to push the boundaries. “I think the society doesn’t fully recognize the value of musicians and artists when compared to some other places like Europe.” Having lived in Germany for three years prior to landing in Calgary, and also calling cities like Toronto and Bejing home, she has a worldly view on culture, “Every show is a another story, a unique experience, and a different angle to the society, to the art and music. In another effort to bring the music to ‘the people,’ Timepoint is rarely confined to a concert hall setting. With venues ranging from coffee shops like Café Koi to the ContainR Art Park by Sunnyside, they’re bound to open some eyes and ears of new new music audiences. 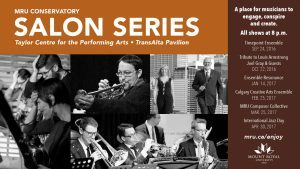 Experience the Timepoint Ensemble, the first of the MRU Conservatory’s Salon Series at the TransAlta Pavilion at 8pm Saturday, September 24th. You might be the new new audience they’ve been looking for. “Beethoven is pretty cool, but there have been a few guys and girls composing after him,” says true musical maverick Melanie Leonard. The concert, titled Baroque Minimalism is a part of the MRU Conservatory “Music To Your Ears 2016-17” Concert Season in the Taylor Centre for the Performing Arts’ Bella Concert Hall. The program features works by minimalist composers Phillip Glass, Marjan Mozetich and Steve Reich who are all considered major influences on minimalist music. 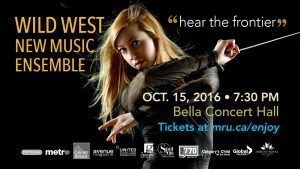 MRU Conservatory is pleased to welcome the Melanie Leonard and the Wild West New Music Ensemble at the Bella Concert Hall in the Taylor Centre for the Performing Arts on Saturday, October 15th, 2016 at 7:30pm. For tickets or more information, go to mru.ca/enjoy or call 403-440-7770. Leo Cripps knows. 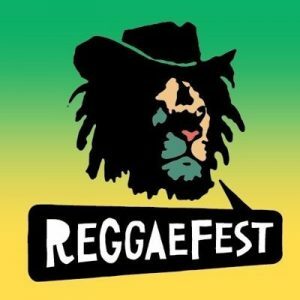 He’s one of the original six Calgarian reggae fans who, in 2003, created the Calgary Reggae Festival Society and have since entertained other Rastagarians with the best that reggae has to offer at Reggae Fest each August since. 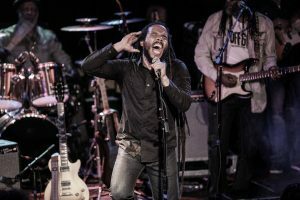 With his new self-titled release just out, featuring the single “Weekend’s Long”, Ziggy promises to deliver hits from all six of his studio releases that will be the first reggae jams heard in the new acoustically tremendous concert hall. Paula Midori Nieckar is rhythmically inclined. 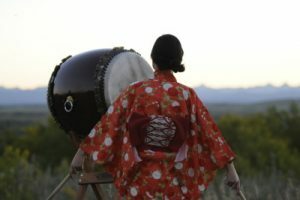 As the MRU Conservatory’s new Taiko drumming instructor, she’s certainly marching to her own beat. 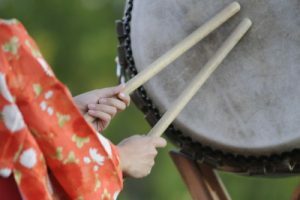 Those who have experienced taiko performances, perhaps from Nieckar’s ensemble Midnight Taiko Kai in Calgary, will perhaps recognize two differing drum positions. 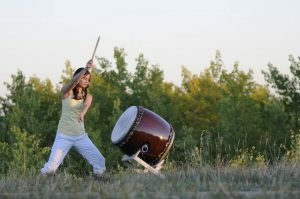 Beta-dai is the upright flat-on-the-floor drumming that students will begin with and Naname is where the drum is raised and angled to enable a different percussive style and choreography. 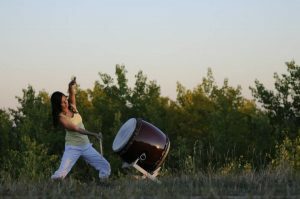 In all age groups, Nieckar will rehearse, “a variety of traditional and “open-source” repertoire, as well as introducing some basic improvisation.” Then she hopes to have a public recital on the final day of classes for family and friends to experience taiko performance.